We have been following all the attention paid to Marissa Mayer’s “no-more-work-from-home” policy and Sheryl Sandberg’s Lean In pronouncements. These topics hit particularly close to home for us because the team culture here is perhaps the most vital aspect of life at DiGennaro Communications — it’s fun, collegial and collaborative. It’s no secret that practicing public relations, and in particular practicing the craft within a PR agency, is stressful. In fact, PR is routinely ranked among the most stressful vocations around. So, here at DGC it’s important we cultivate an environment that provides a supportive atmosphere for our team. It’s also smart business: A major value-add for our clients is our routine delivery of experiences, media contacts, pitch ideas and other critical support that emanates from across our entire team. We like to say that our clients work with a dedicated account team, but in truth, they actually are assigned a 35-member account team. Unfortunately, delivering on that promise is quite rare in this industry. But back to Ms. Mayer and Ms. Sandberg. One could debate (and many, many are) the merits of a work-from-home policy. We’re actually testing one ourselves at the moment. But it’s Sheryl Sandberg’s Lean In platform that we identify with even more closely. As Drake Baer so aptly reported in his Fast Company piece yesterday, Why Everyone—Not Just Women—Needs to Lean In, we don’t apply it exclusively to women. Living and breathing a Lean In quality – showing a passion for your job, exhibiting a genuine interest in your clients and their companies, putting forward your opinions, raising your hand, finding ways to deliver the unexpected. It’s not a quality we hope employees bring to the table; it’s a prerequisite. We’d argue it’s a requirement for anyone who wants to succeed in PR. F inally, after several long weeks (and at least seven episodes) the SCDP team has won the Heinz account. After several failed pitches, attempts to partner them with the Rolling Stones, not even slimy Pete Campbell could coddle them to sign on. Until Megan comes up an idea that seems simple yet brilliant – that beans, like spaghetti, will never change. It will always be a staple of family life. Megan was fortunate enough that Raymond’s wife spilled the beans on their upcoming firing so they could pre-empt Heinz’s move. The execution and teamwork between Megan and Don was flawless. Their marriage provides a soft loving exterior for their direct, hard-nosed business motives. Afterwards in the office, the mood is jovial as everyone is celebrating their first big win since Lucky Strike. Winning new business does not happen overnight. It takes several weeks, if not months, for things to come through. Several people have to work on the push. There’s a suspense, drama and rush that you won’t be able to find anywhere else in business. To pull from sports saying, there is a thrill of victory, but there also is the agony of defeat. At the end of the day, only one company can win, while everyone else goes home empty handed. When attempting to seal the deal, there’s a need to be ready for anything and everything, and pre-empt spelled right? a suspected or hinted loss with a counter-strike to appease. That’s how Megan and Don were able to seize an opportunity. For her part, Peggy is a role model when it comes to her strong support of Megan. She recognized and saluted Megan’s success even though her own creative ideas had failed with the client. Instead of being jealous, she “took one for the team” and did what was best: support the company as a whole. At the end of the day, it’s a true team effort; from the start of the new business chase, through the successful win, and the (hopeful) flourishing partnership between both sides. It cannot be done by just a few people. It takes everyone from an agency to succeed, so appreciate the team you have around you. The 60’s were quite the time to experiment. 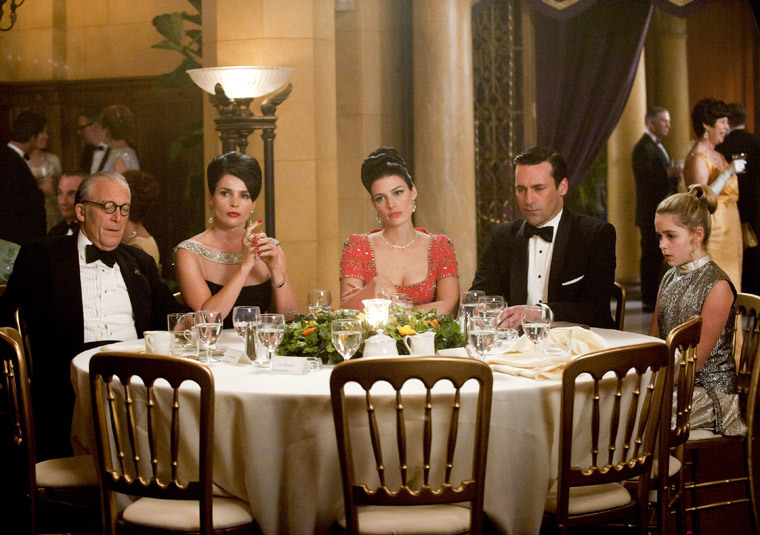 Peggy and the SCDP team certainly tried a few new things in the latest episode. Perhaps Peggy’s most questionable decision (at least the one we’re going to talk about) is her reaction to the Heinz client who did not approve the “Home is where the Heinz is” campaign. Peggy is used to having Don convince the client that the work is good. Don’s off in another realm and not paying attention to anything going on at the office. The Heinz rep says that Peggy & Co. write down what he asks for, but they can’t give him what he wants. Peggy lashes out, saying that he knows the work is good, “young and beautiful,” and that he just likes fighting. She is immediately removed from the account and goes on a midday movie-marijuana-extracurricular bender. It’s very important to stand behind your work and push back when you believe in your ideas. There is a thin line though between pushing back against your client and being aggressive towards your client. As we have said in previous posts, every client relationship is different, which means an appropriate tone for one client may not work for someone else. But insulting or belittling your client is never appropriate; doing so could rupture the business relationship and cost you your job. People stand behind their work because they’re invested in it; they’ve put time, blood, sweat and tears into creating something that they are proud of. But one needs to see the project with clear eyes, which is where the concept of a healthy work/life balance comes into play. Spending too much time at one or the other will sacrifice the quality of the neglected part. While there are plenty of ways to de-stress from work, I recommend doing none of the things that Peggy, Don, or Roger did in the latest episode. Not that I speak from experience, but their actions seemed to cause more stress than release it. And given that stress usually kills the creative exchange of ideas, it’s a bad omen that so much of it is flying around SDCP. The cloud’s popularity has been gaining momentum as businesses continue to need ways to store, process and access information quickly. And as its reputation grows, we at DGC have wondered what effect the cloud has had—and will continue to have—on the public relations industry as a whole. It may surprise you to learn that the cloud isn’t exactly a new concept for PR. Since the introduction of social media sites like Facebook and Twitter (both of which are cloud-based platforms—read the text box for more info! 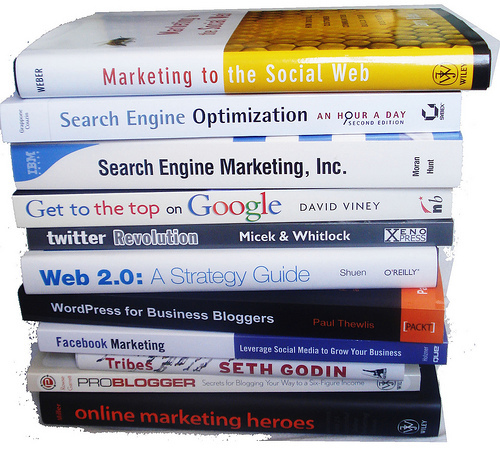 ), we’ve been using these mediums to help leverage different forms of communication for both clients and consumers, including posts, blogs, tweets and everything in between. These tools allow us to create and disseminate clients’ media exposure quickly, efficiently and in real-time. Social media sites aren’t the only cloud-based platforms the industry is using. Tools like Google Analytics help to gauge whether a clients’ website has incurred increased traffic during a news or product announcement. Other tools such as bitly—a URL shortening service—enable us to track a particular website’s stats through click-throughs. And as any PR professional will tell you, this kind of information is crucial to evaluating and reevaluating continued public relations efforts. The very nature of using cloud-based platforms helps to keep us—and our clients—informed during PR campaigns. In fact, we’re continually made aware of the kind of exposure our initiatives have had in the viral community (the public likes to voice its opinion, you know). And, cloud-based platforms allow us to respond to positive commentary or correct negative backlash. As the PR industry continues to move forward, one thing’s for sure—identifying and using cloud-based platforms helps to increase clients’ reach and exposure. 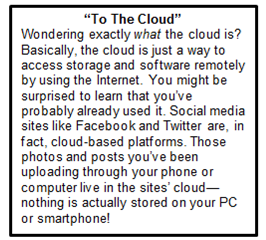 So, as I like to say: go, run, do…and get on the cloud! 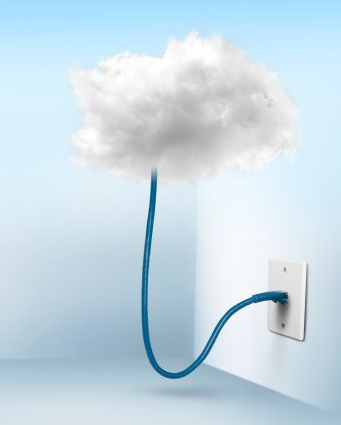 Have you used the cloud in any of your PR initiatives? Let us know in the comments below. 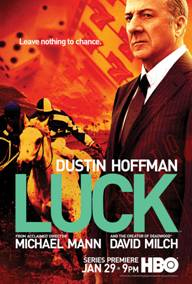 Last week, HBO came under heavy criticism by animal activist groups after three horses were euthanized during production of the drama Luck. The criticism lead to Luck being cancelled almost 24 hours after the third horse was put down. While this situation raises questions about the use of animals for entertainment’s sake, it also presents an example of how organizations like HBO can handle a PR crisis — diffusing the situation before it snowballs into a larger issue. Let’s face it — there’s always a chance of backlash from animal activists groups when producing a show that involves animals. Groups like PETA are influential and their claims can rarely be ignored as they fight for the rights of animals across situations and industries. In this case, HBO read the writing on the wall. It realized that the show could potentially lose more horses during production, leading to louder and louder opposition by these groups. Cutting their losses now avoids potentially larger problems – and headaches – later. Can we permanently correct the situation in a timely manner? If not, what can we tell the press we are doing to rectify the circumstances? When (not if) we come under criticism from the public and press, how do we measure the severity (and possible outcomes) from their claims? What is more important to our brand? Short-term revenue loss or long-term brand reputation? Always have a plan in place…And, in crisis communications, always expect the unexpected.